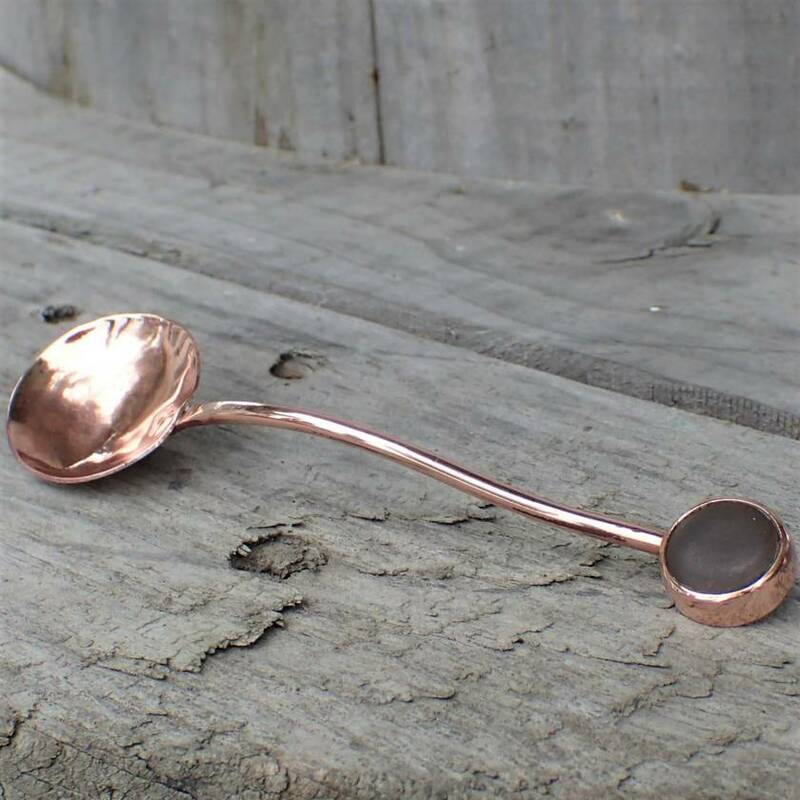 A charming and delicate spoon made from warm copper finished with a Stone from Birdlings Flat beach near Christchurch.. 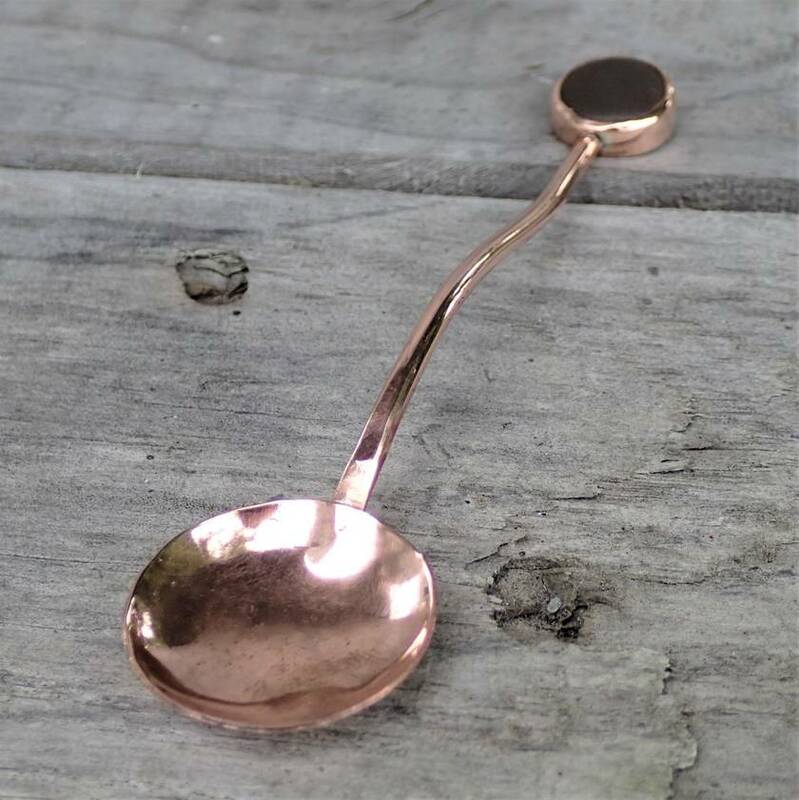 Perfect for condiments or herbs, or as a magical addition to your ritual space. 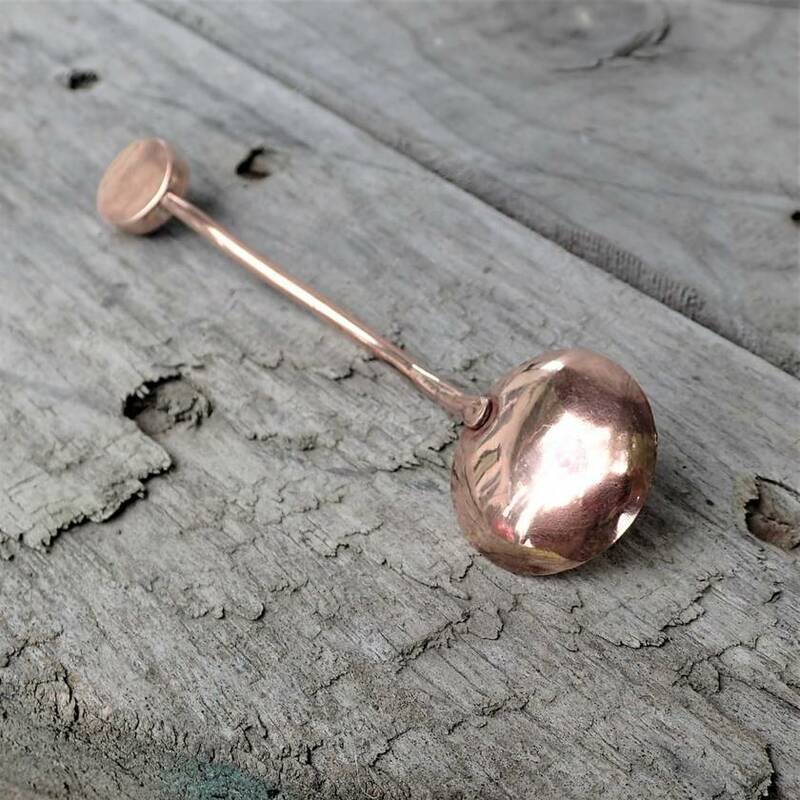 This consists of elegant handmade pieces using quality materials including solid Sterling Silver, Gold and Copper lovingly crafted in to a range of stylish and affordable Boho inspired Jewellery. Any questions or custom orders please feel free to ask. 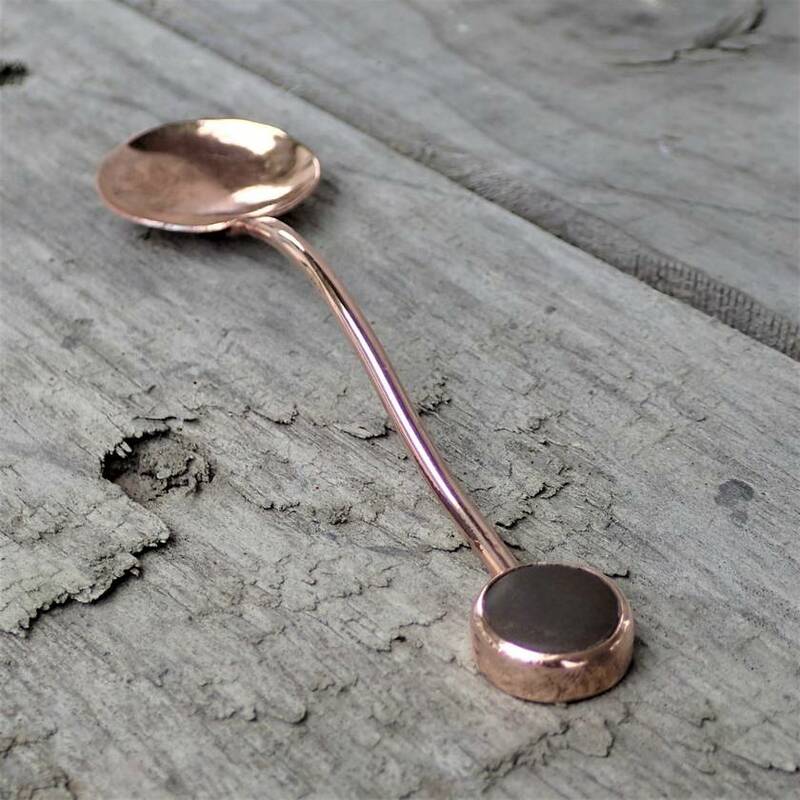 Please check our other Boho listings for more exciting pieces. Contact borntobeboho to enquire about payment or shipping options.